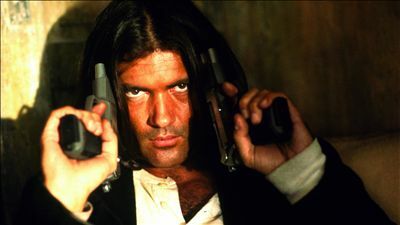 The latest film from Banderas dropped a trailer today. ‘Automata‘ is a sci-fi thriller from director Gabe Ibáñez. It takes place in 2044 where robots are pervasive, instead of operating under Asimov’s three laws of robotics as in ‘iRobot‘ there are only two that delineate a peaceful and productive life alongside their human counterparts. Banderas will play an insurance agent of the ROB robotic corporation who discovers that the robots may be more human than people are led to believe. Kind of like a ‘Robocop‘ and ‘Short Circuit‘ kind of thing. In spite of the slightly stale storyline, this one is still going to have some surprising twists to it. Dylan McDermott is the token robot-bashing human among a cast that is pretty remarkable. Melanie Griffith, Robert Forster and Birgitte Hjort Sorensen. Check out the trailer below. The project is set to release in theaters and VOD October 10. 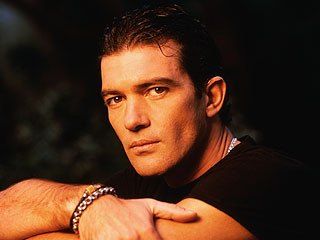 As a bonus, check out a video of Banderas from ‘Evita‘. He’s amazing! « Interview with Director Ira Sachs on ‘Love Is Strange’!! Spoken like a true cynic. I'm not a cynic, I'm a realist! Or a realist masquerading as a cynic who is secretly an optimist.